Teddy Ballgame or the Great Bambino? Nomar or Jeter? Clemens or Clemens? For more than 115 years, the Boston Red Sox and New York Yankees have been battling it out on the diamond, playing each other over 2,000 times. This heated rivalry has stood the test of time, as one team’s triumph usually means the other’s dismay. While the teams battle on the field, the fans and cities take the rivalry just as seriously. But who’s the best? Which team’s players have the edge? Which team’s squad would reign supreme? If you ask a New Yorker, you’ll get an obvious answer; same with a Bostonian. But what happens when two men from opposite sides of the track sit down to discuss who is the best? 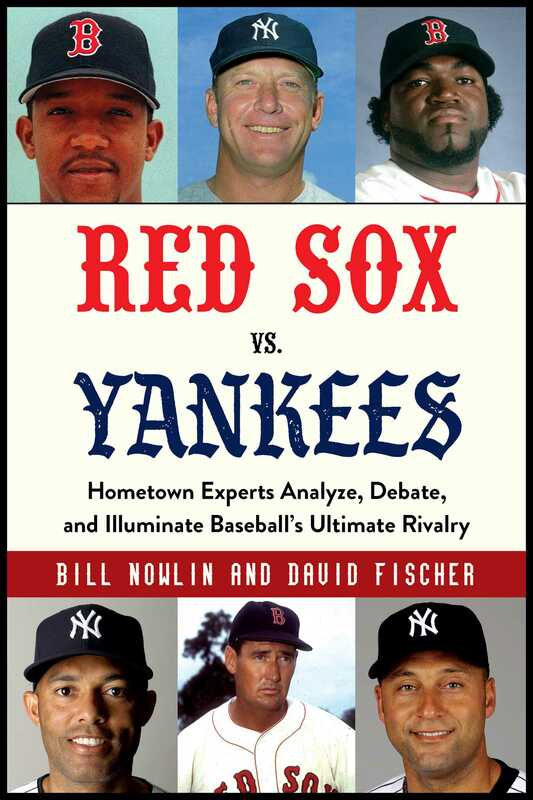 Red Sox vs. Yankees pairs baseball historians Bill Nowlin (Red Sox) and David Fischer (Yankees) to discuss who each team’s best position player was and which super team would win in a head-to-head series. Obviously, they won’t easily agree. Obviously, there will be cheap shots and venom spewed back and forth. But in the end, we will have two teams: one of the greatest players and one of each squad’s best year. You can guess that Nowlin will say that the Sox will win, while Fischer is confident that the Yanks will be victorious. But it’s not that easy. Thanks to the help of Action! PC Baseball, we will have a simulation to find out which team would win in a head-to-head battle. Will the All-Star Yankees take the series? Will the Red Sox pummel the best the Bronx has to offer? There’s only one way to find out. Bill Nowlin was born and raised in Boston. He is the author of over twenty-five Red Sox–related books, including Red Sox by the Numbers and Fenway Park at 100. In 2004, Nowlin was elected vice president of the Society for American Baseball Research (SABR). He lives in Burlington, Massachusetts.